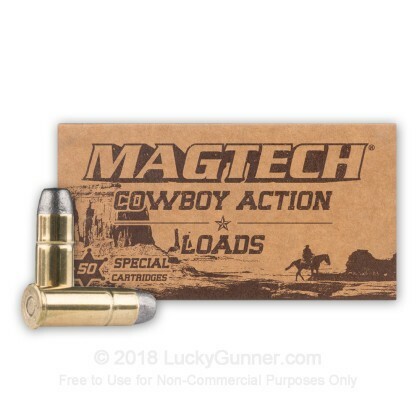 Magtech's take on a classic Western cartridge is a great choice for cowboy action shooting with a Model 1873. 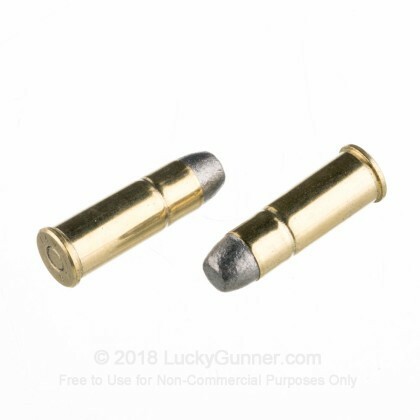 Manufactured by Latin America's largest munitions company, this ammunition fires a 225 grain lead flat nose bullet ideal for the steel targets and tubular magazines common in action shooting sports. A muzzle velocity of about 725 feet per second provides good accuracy at short to medium range with minimal recoil so you can blast away with ease. The 44-40 was Winchester's first centerfire cartridge and saw use in both revolvers and long guns from 1873 onwards. Although superseded by newer designs for many uses, it remains a popular target shooting and deer hunting round. 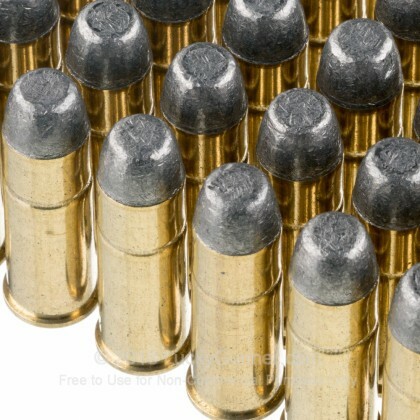 The 225 grain bullet is a modern phenomenon designed specifically for cowboy action shooting; historically, a 200 grain projectile was more common. CBC, the largest ammo company in Latin America, is the manufacturer of Magtech cartridges. 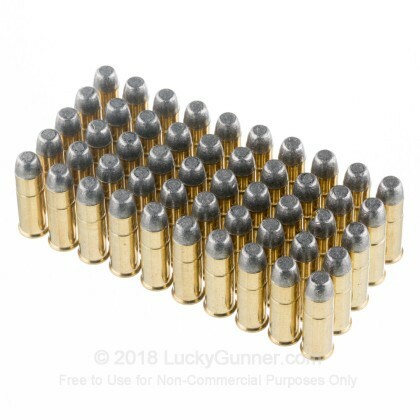 The company manufactures all of its ammunition components in-house for enhanced quality control and is known for delivering good quality at a moderate price. 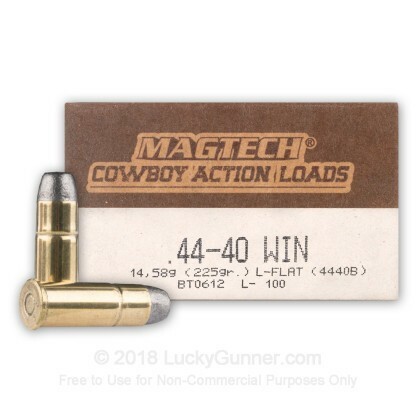 We don't have any reviews yet for this particular .44-40 WCF ammo from Magtech. 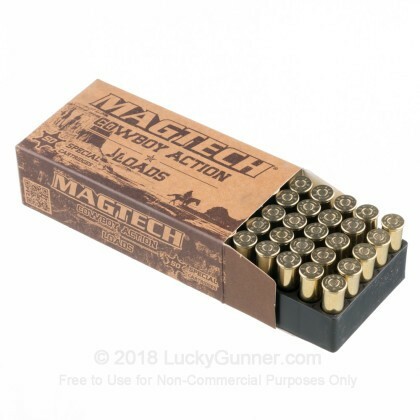 If you'd like to be the first to review this particular .44-40 WCF ammo from Magtech, fill out the form below.